What is Domestic Violence? - Christian A. Schwaner, P.C. Domestic violence is a confrontation among family members, but it is a widely misunderstood and overused term. Many assume that domestic violence must include physical altercations, but confrontations take many forms under the statute. In fact, domestic violence may include any encounter with physical, emotional, mental, or sexual abuse. Spouses and former spouses, family members living with one another, and domestic partners all qualify as victims of domestic violence (and offenders). Who is the Batterer in a Domestic Violence Case? The batterer is the offender. This party will use a series of violent acts, such as threats, physical harm, intimidation, mental damage, and isolation, to control his or her victim. Violence might not be daily. In fact, in many domestic violence cases, it is not a regular occurrence. Also, the batterer may strike his or her family member in a way that makes it impossible to see with clothing. Domestic violence is just as psychological as physical. Psychological violence includes terrorizing, controlling, forcing isolation, and so forth. Abuse can take many forms, and when the batterer is using these forms of abuse to control, they are guilty of domestic violence. Many individuals accused of domestic violence do not realize that certain actions can be perceived as violence against a family member. 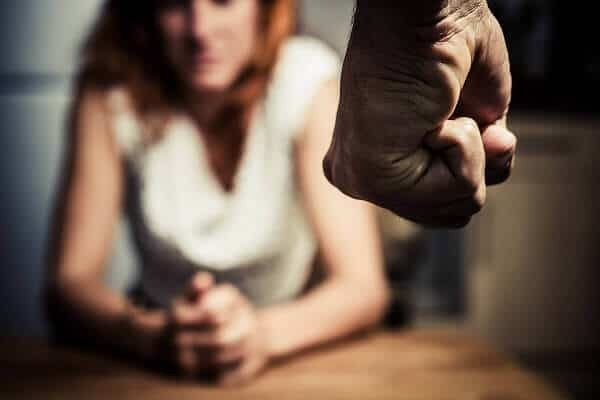 Physical and Sexual Abuse – Any physical or sexual violence, including forced sexual relationships, hitting, punching, or unwanted touching can constitute domestic violence; especially when used to control. Emotional Abuse – Any insulting in public or private, putting a person down, making them think that they are mentally ill, playing guilt games, and similar activities constitute emotional abuse. Coercion and Threats – Threatening to take physical action against a person is still abuse. If you threaten to take away a partner or family member’s livelihood or well-being, that is considered a threat. Intimidation – Abusers may try to intimidate their victims to control them, such as frightening them into thinking they are worthless, and must follow along if they don’t want bad consequences. These victims are often too scared to report the abuse. Using Children – Sadly, some forms of domestic abuse use children against the victim – making them feel too guilty to leave or report the abuse. Isolation – Isolating a person from friends, family, or social interactions is considered domestic abuse if it is used to control the victim. If you have been accused of domestic violence, it is important that you speak with a criminal defense attorney in Colorado. Speak with Christian A. Schwaner, P.C. today regarding your case. As a former prosecutor, he knows how damaging an accusation of domestic violence can be, and he knows how aggressive prosecutors want to make an example out of someone accused. To avoid the harsh consequences of a conviction, speak with him today during a no-obligation consultation by calling 719-577-9700 or request a consultation online.